In the 1940s, the Chamber of Commerce began a campaign to establish Lincoln Square’s commercial identity, culminating in 1978 with the development of the Lincoln Square mall. This charming, Old World-influenced pedestrian plaza now forms the commercial and social heart of Lincoln Square, and solidified Lincoln Square as one of the North Side’s keystone neighborhoods. Lincoln Square is particularly attractive in terms of family-friendly housing, offering a high percentage of single-family homes and smaller multi-unit buildings, both condominiums and rentals. While there are the occasional higher-end properties, most single-family homes in Lincoln Square are priced in the $200-400s. Condo prices range widely from the low $100s through the $500s, reflecting Lincoln Square’s wide range of original-condition buildings, modern rehabs and new construction. Lincoln Square is served by Roald Amundsen High School and several elementary schools part of the Chicago Public School system, including Budlong, Chappell and McPherson. Much of Lincoln Square’s charm lies in the diverse collection of small businesses that line its streets. With bookshops, cafes, handmade gifts, European imports, pharmacies, children’s boutiques and gourmet food shops to choose from, it’s not hard to find something to take home. There is a fantastic range of dining options as well, notable examples being Café Selmarie, Huettenbar and the Barba Yianni Grecian Taverna. 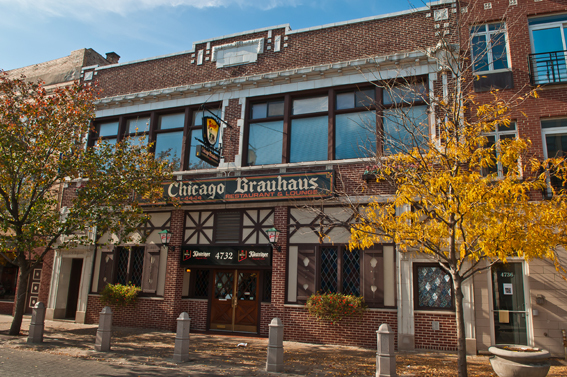 Nightlife takes a similarly eclectic turn, and one can spend a Friday night dancing at the Chicago Brauhaus, taking in a concert at the Old Town School of Folk Music, or catching a budget-friendly film at the Davis Theater. Few things exemplify the Lincoln Square experience more than strolling the pedestrian mall on a snowy night and stopping in at the Huettenbar for a beer. CTA’s Brown Line trundles above the southern part of Lincoln Square, making several stops at the major north-south thoroughfares and providing easy access to the Red Line and downtown. The Metra’s Northern Pacific Line marks the eastern boundary of Lincoln Square, with the Ravenswood stop being a viable option to access the northern suburbs. Western Avenue cuts through the very center of the neighborhood and allows a direct route north and south. 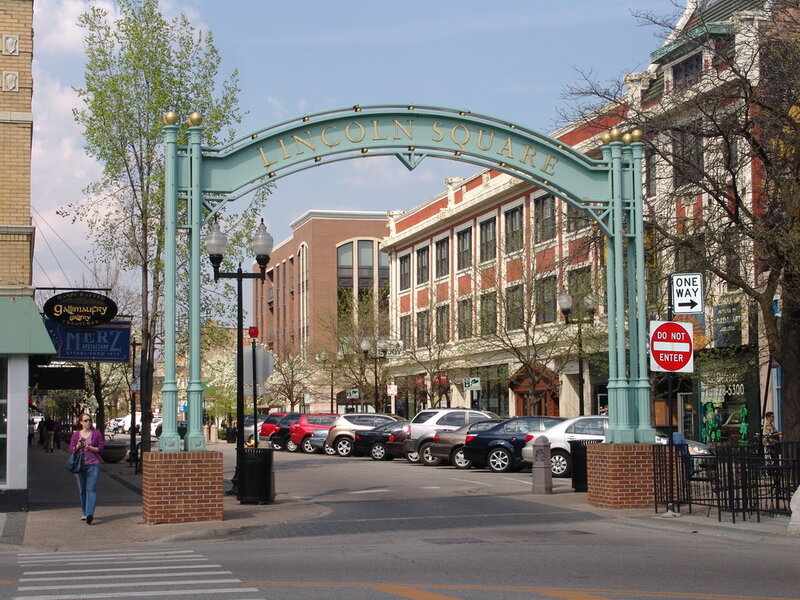 Historically populated by German, English and Polish immigrants, Lincoln Square retains a distinctly European air. It is home to the DANK-Haus German Cultural Center and Language School and the Conrad Sulzer Regional Library, as well as the vibrant Old Town School of Folk Music. Winnemac and WellesParks provide ample green space, and the neighborhood is bookended by Swedish Covenant Hospital and Methodist Hospital of Chicago.